Spring background with flowering tree branches and flying petals. 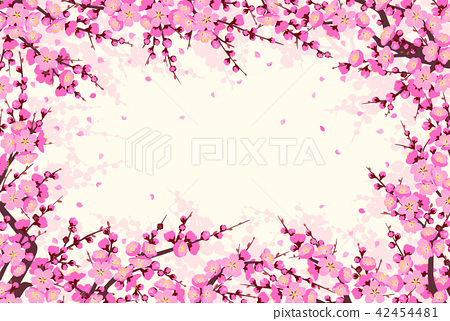 Rectangle horizontal frame with pink plum blossom. Floral decoration for wedding, Chinese New Year, springtime celebrations.